Gerd Gigerenzer is one of the researchers of behavioral intuition responsible for the science behind Malcolm Gladwell's bestseller Blink. Gladwell showed us how snap decisions often yield better results than careful analysis. Now, Gigerenzer explains why our intuition is such a powerful decision-making tool. Drawing on a decade of research at the Max Planck Institute for Human Development, Gigerenzer demonstrates that our gut feelings are actually the result of unconscious mental processes-processes that apply rules of thumb that we've derived from our environment and prior experiences. The value of these unconscious rules lies precisely in their difference from rational analysis-they take into account only the most useful bits of information rather than attempting to evaluate all possible factors. By examining various decisions we make-how we choose a spouse, a stock, a medical procedure, or the answer to a million-dollar game show question-Gigerenzer shows how gut feelings not only lead to good practical decisions but also underlie the moral choices that make our society function. 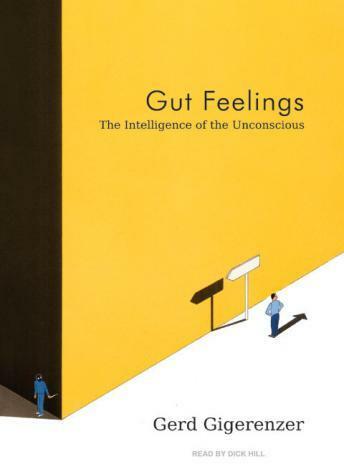 In the tradition of Blink and Freakonomics, Gut Feelings is an exploration of the myriad influences and factors (nature and nurture) that affect how the mind works, grounded in cutting-edge research and conveyed through compelling real-life examples.